Ensuring child passenger safety is SO important. When our RV was totaled, thank goodness the baby was safely strapped into his car seat. The seat (we had this travel system) was appropriate for his weight, height and age, and the installation was checked by a Certified Child Passenger Safety Technician. 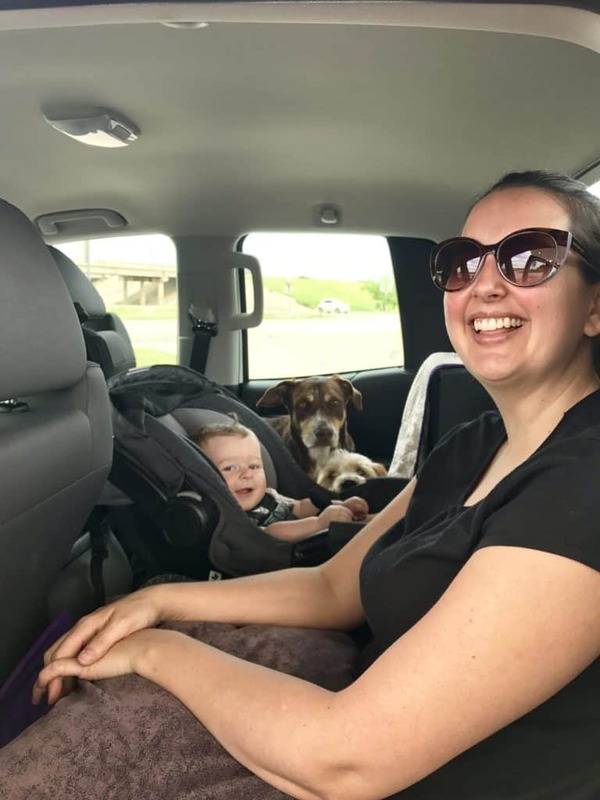 During the wreck, our then 8-month-old son was in a rear-facing reclined position in the back, middle seat of a Ford F250 Superduty. He bounced up and down in the collision while being safely held by his 5-point harness. There were no injuries. 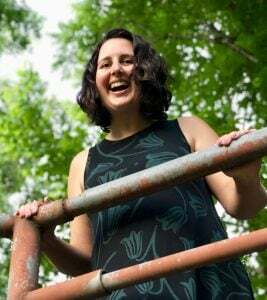 In fact, the baby didn’t make a sound or even seem to notice anything out of the ordinary had happened. To confirm child passenger safety, a child seat should never be used after it is in an accident. Most manufacturers will replace the seat at no cost. In our case, a quick phone call was all it took to have a replacement on the way with expedited shipping. 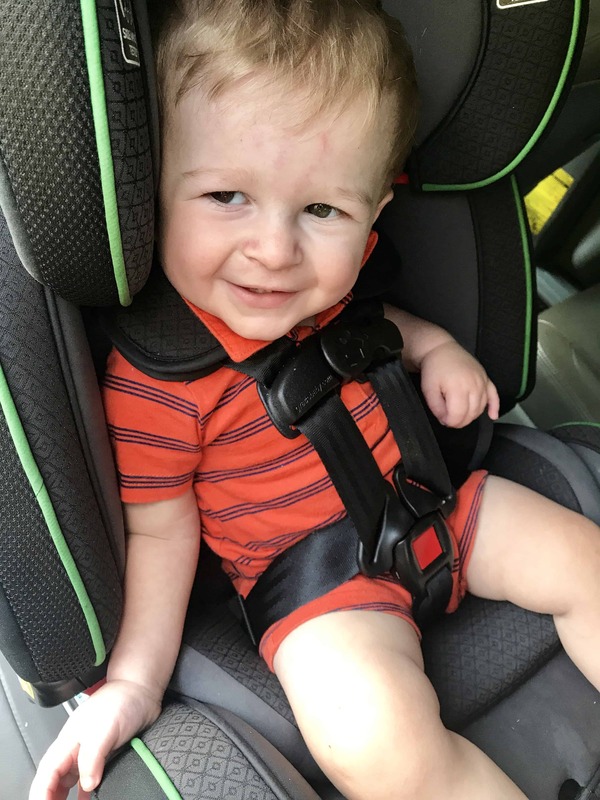 Now that our son is approaching the maximum weight for that seat, we purchased a convertible child safety seat and plan to have its installation checked by a Certified Child Passenger Safety Technician during Child Passenger Safety Week. If you aren’t 100% sure that you are using the right seat for your child, or if you question installation at all, I urge you to take advantage of Child Passenger Safety Week (September 17-23, 2017). During Child Passenger Safety Week, more than 1000 events are expected in 45 states across the country to raise awareness for proper car seat installation and usage. The week culminates in “Seat Check Saturday,” where Certified Child Passenger Safety Technicians will help parents and caregivers make sure their car seats are installed correctly. In most cases, this service is FREE. Using the right car seat can really make all the difference. Every 33 seconds* a child under 13 is involved in a car crash in the United States. Car seats, if used correctly, can dramatically reduce the risk of death or injury. But over half of car seats are either installed or used incorrectly, and 1 in 3 children killed in car crashes in 2015 was not in a car seat, booster seat, or seat belt at the time of the crash. Children under age 2 should always ride in a rear-facing car seat. 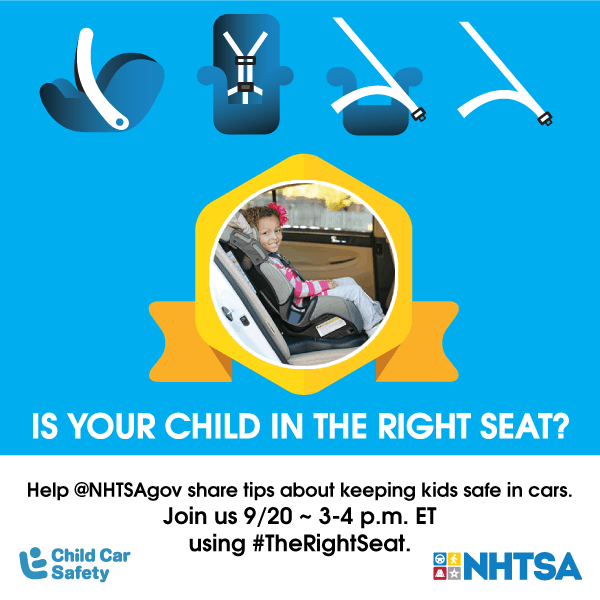 Children ages 2-3 should be kept in a rear-facing seat until they reach the car seat’s top height or weight limit. Keep your child in the back seat until at least age 13.